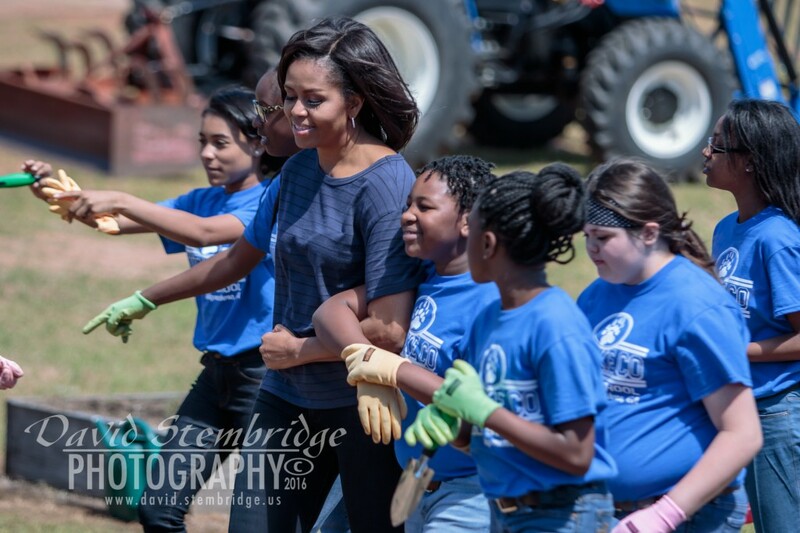 The First Lady of the United States Mrs. Michelle Obama visited Burke County Middle School, Waynesboro, GA on April 7, 2016 to observe the skills that Middle School students have learned as a result of the STEM-based learning garden which supports their “End Hunger Games” project. Members of the press from Augusta as well as Atlanta covered the event. Security was provided by the White House’s Secret Service as well as Ga State Patrol and local agencies.